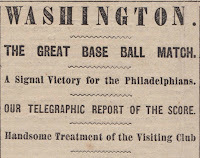 Papergreat: "The Great Base Ball Match" of August 1865 in Washington, D.C.
"The Great Base Ball Match" of August 1865 in Washington, D.C.
"WASHINGTON, Aug. 28. The Grand Baseball Tournament. Which has been for some time past in preparation commenced this afternoon on the grounds south of the Presidential Mansion. 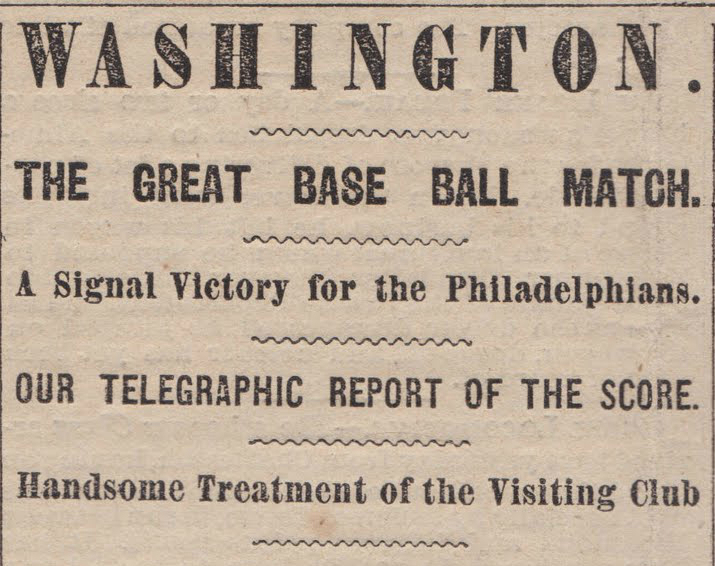 The match to-day was between the National Base Ball Club of Washington and the Athletic Base Ball Club of Philadelphia, which resulted in a victory for the Philadelphia club over their 'national' opponents. "The Philadelphians were entertained in the kindest and most hospitable manner by the Washingtonians. Carriages were provided in the morning, and the Athletics visited the various public buildings and the Capitol, where the Werz [sic] Court martial was in session, where they got a glimpse of the prisoner. "They also called the President, but were unable to obtain and interview, owing to the President being engaged at the time. 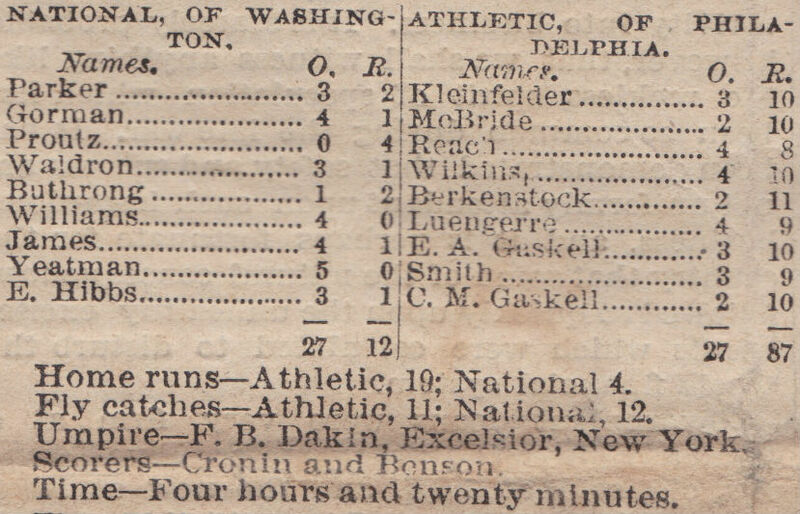 To-night a complimentary supper was given to the Athletics at the National Hotel by their Washington friends, where speeches were made and there was a good time generally between the victors and the vanquished. To-morrow the Athletics go to Baltimore, to play the Pastime Club of that city."